Bursting Strength Tester also named digital Burst Strength Machine which is widely for various kinds of textiles, non-woven fabrics, leather and other materials, The expansion of tension and the performance measurement in the warp and weft and in various directions at the same time (elastic diaphragm method). 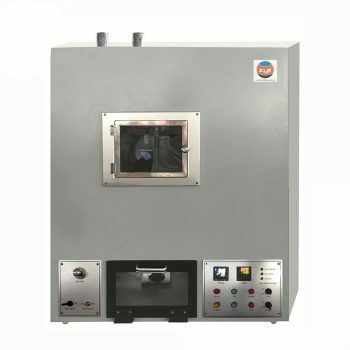 Bursting Strength Tester is used to determine the bursting strength and the bursting distension of textile fabrics, such as knitted, woven, nonwoven and laminated fabrics or other fabrics produced by other techniques. A hydraulic pressure is applied under the fabric by using a constant rate of pumping device. 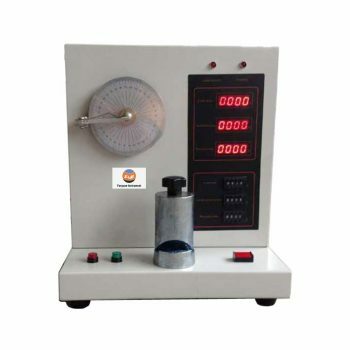 FYI are best bursting strength tester manufacturers . Comprehensive and detailed test results. 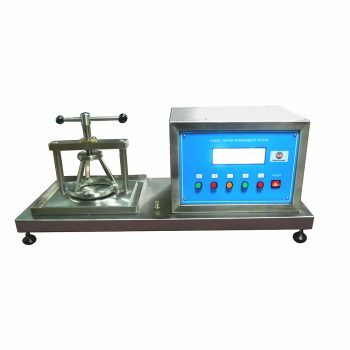 Bursting Strength Machine is Used for testing fabric bursting strength and expansion such as knitted fabrics, non-woven fabrics, leather etc. 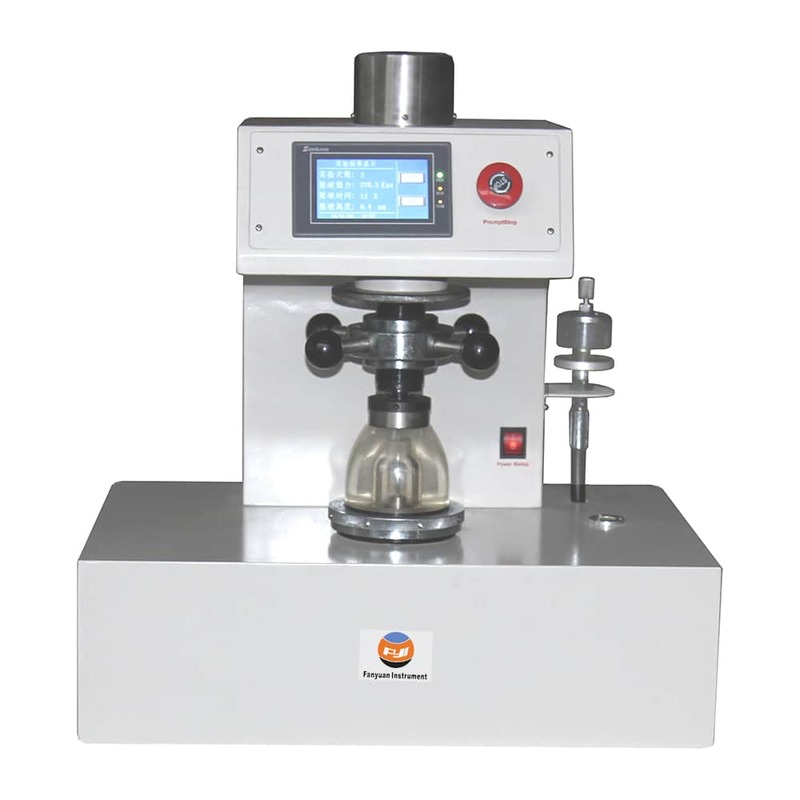 Bursting Strength Machine Method:The sample is holding at an extension on the diaphragm, below the diaphragm pressure (manual liquid pressure, electric liquid pressure or gas pressure, etc. ), make the diaphragm and sample expansion, increase the pressure at a constant speed, until the broken sample and measured burst strength or burst expansion ratio. Machine meet with ISO 13938-1、ASTM D3786 etc… If you need more information about Bursting Strength Equipment, please contact with us.